The NHS Breast Screening Programme (NHSBSP) is perhaps a victim of its own success. The expansion of all women receiving 2-view mammography at all screens – rather than 2 views only at the first screen – and the extension of the programme to screen all women aged 50 to 70, rather than 50 to 64, led to some innovative ways of coping with increasing demand for screening in the first 5 years of the noughties. The 4-tier structure in radiography introduced the assistant practitioner level. Staff were trained to take mammograms while advanced practitioners were trained for roles previously done by radiologists, such as film reading, ultrasound procedures and performing biopsies, among other duties. The highest tier introduced the consultant radiographer. These are highly trained individuals, who can organise service delivery independently and run clinics like consultant radiologists. Now the programme is again facing considerable strains due to population increases, the age extension trial – which randomises women to be screened between the ages of 47-49 and 71-73 – and an impending critical workforce shortage over the next 10 years. 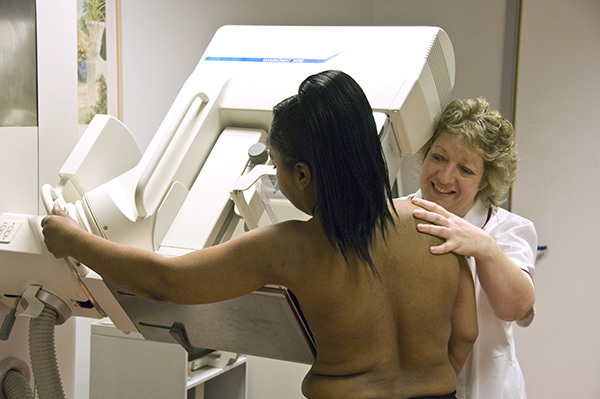 Nationally, the breast screening programme screens more than 2 million women per year. The shortage of staff was highlighted in the UK Breast Imaging Workforce Survey Report (2016) published on the Royal College of Radiology website. Two-thirds of screening services responded to the survey. The key messages from the report make alarming reading and pose significant challenges to the breast screening programme. Over the next 10 years, one third of the radiology workforce and around half of all breast clinicians and consultant radiographers are set to retire. This varies by region and the West Midlands will see half of its current radiology workforce retire in this time. It has also been difficult recruiting to unfilled posts, which have doubled since 2010. Just under half of unfilled posts remain vacant after one year, which causes considerable challenges for many services. The survey also revealed that a quarter of screening units are staffed by 2 consultant radiologists or fewer, which is less than ideal and makes breast units more vulnerable in terms of consistent service delivery. How is the programme going to respond to these significant workforce challenges ahead? To better assess the current capacity in the system, we are undertaking a radiographic workforce survey. This will complement the UK Breast Imaging Workforce Survey which has concentrated largely on radiology and its related workforce. Once we have a true picture of current capacity, we will work collaboratively with the national breast training centres to plan effective training courses to “plug the gap” for the next 10 years and plan effectively for the future. The emphasis will be on ensuring individuals are offered the most appropriate training, in the shortest time, at the best cost for the NHS, to ensure we can continue to offer an excellent quality of service provision. The programme certainly faces a challenging time. But, due to the enthusiasm and professionalism of staff currently employed in the programme, I have no doubt we will all work together to provide robust plans to ensure the NHS Breast Screening Programme remains, for many, the envy of the world.